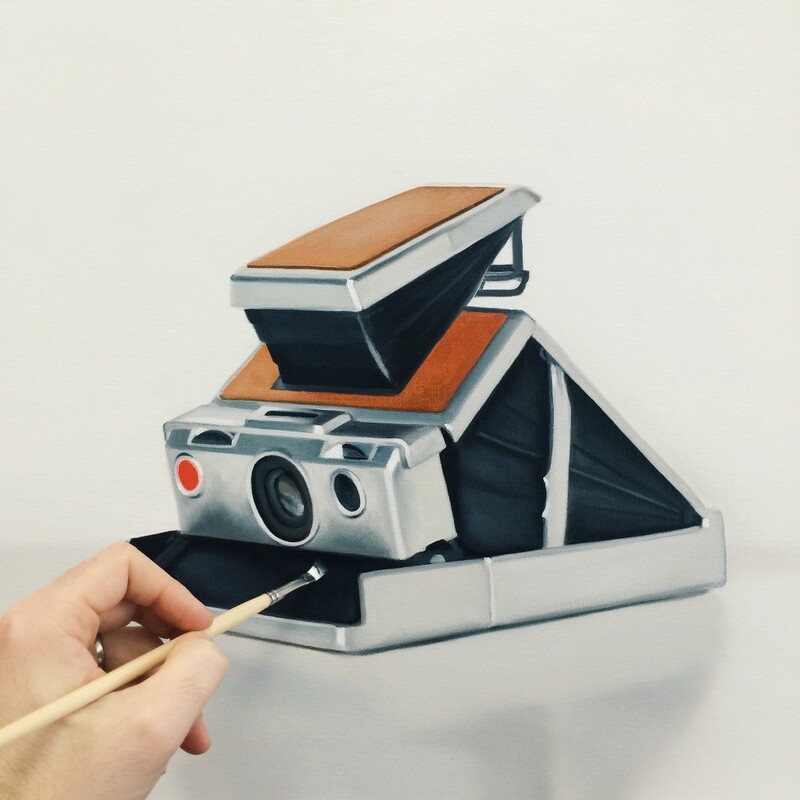 A Polaroid SX-70 Alpha 1. Great design. Fun to transform in to a painting. 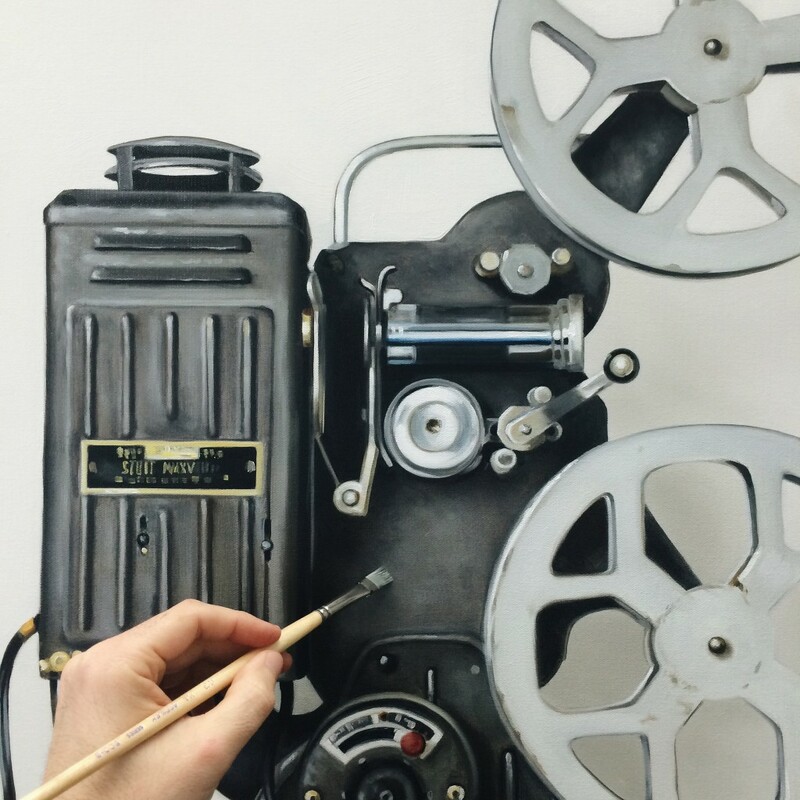 More vintage film projector in the works. Today I’m going to work on refining details, surface texture and laying down more shadows to give depth. I bought this projector years ago. It was in a case, and I completely forgot about it. It ended up mixed up with all the other vintage luggage that I’ve collected over the years. During my recent move, I picked up the case and could not figure out why it was so heavy. Opening up the case was like that experience when you find cash in your spring jacket pocket after a year. A few action shots of some work I have in progress. These will be part of a July 2015 exhibition at the Elliott Fouts Gallery. 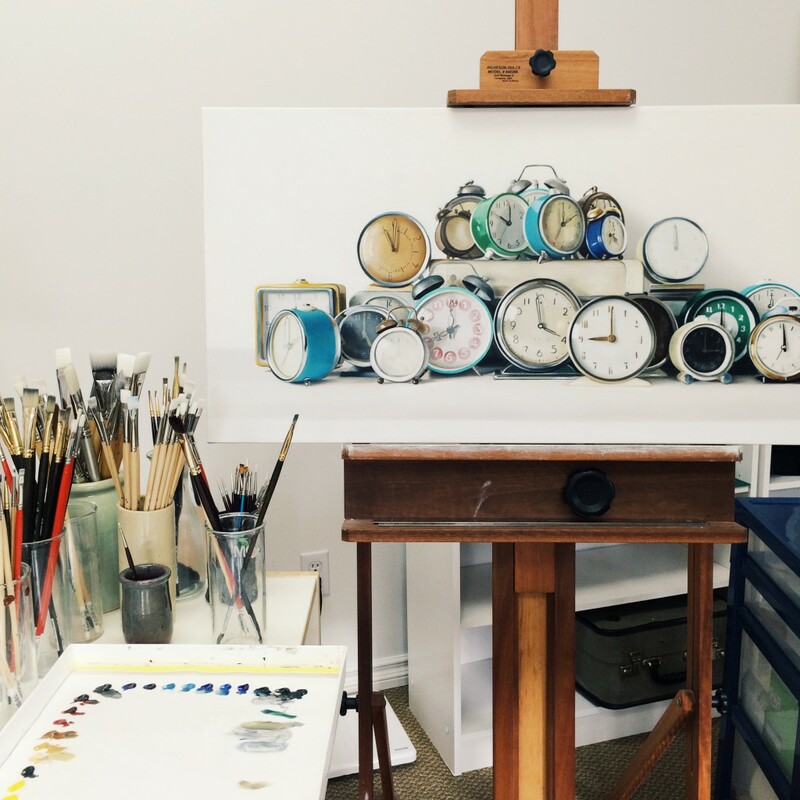 Work in progress — 24 vintage alarm clocks. 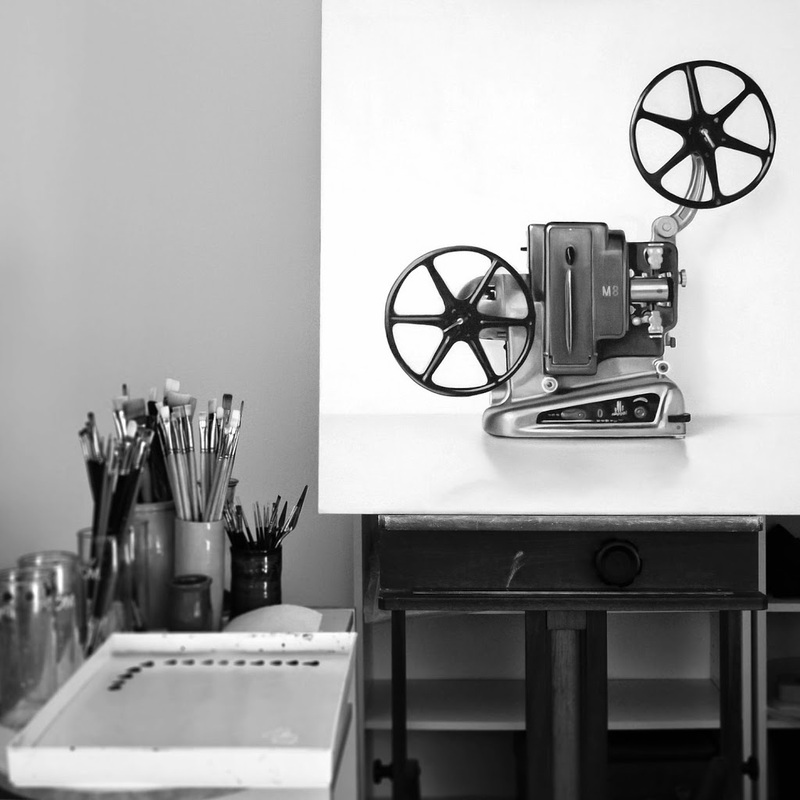 Work in progress — vintage film projector.